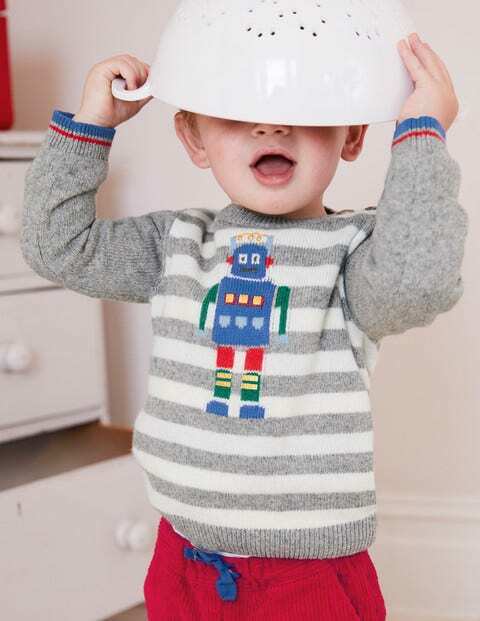 Little ones will love the shiny foil robot, the loveable llama in a woolly scarf or the snowman wearing a pompom bobble hat on this cashmere-blend, stripy jumper. Embroidery brings these fun friends to life while baby stays warm and snug. With easy-change shoulder buttons and machine-washable fabric, there'll be smiles all round.